If you love elephants, you'll probably love this! 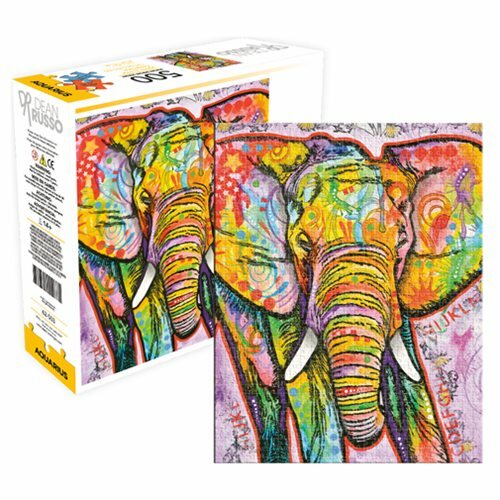 The unique style of Brooklyn-based pop artist Dean Russo graces this Dean Russo Elephant 500-Piece Puzzle. It measures 19-inches x 14-inches when completed. Ages 14 and up.